Back row, left to right: Marie Elwood, John Boudreau, Edith Cromwell, Daniel Paul, John Savage, James Kehoe, Lorne Clarke, and Shirley Chernin. 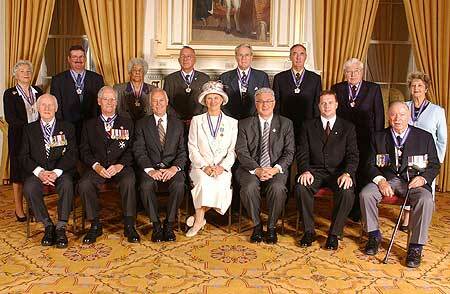 Front row, left to right: James Kinley, Lieutenant-Governor from 1994 to 2000; Al Abraham, Lieutenant-Governor from 1984 to 1989; Premier John Hamm; Lieut.-Gov. Myra Freeman; His Honour Lawrence Freeman; Rodney MacDonald, Minister of Tourism; Lloyd Crouse, Lieutenant-Governor from 1989 to 1994. She was a journalist, broadcaster, and tireless worker for truth and justice and a hero, role model, and respected leader of the African-Nova Scotian community. 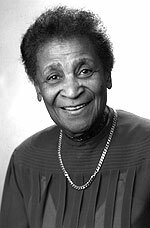 A pioneer in the fight for racial equality in this province, she founded Nova Scotia's first Black-owned newspaper, The Clarion in 1946. Fiercely independent and candid, she was unafraid to stand up for African Nova Scotians. Through her voice and her pen, she promoted interracial understanding and goodwill, championing the causes of all minorities. Her life and work have been recognized through numerous provincial and national awards. She was granted honorary law degrees by both St. Francis Xavier University and King's College, and she was named an Officer of the Order of Canada in 1979. Dr. Best died on July 24, 2001. The son of a fisherman, he is a dedicated teacher, an ardent sportsman, but most of all he has proven to be an inspiring leader in a time of crisis. In 1985, when the Isle Madame Fishermen's Co-op faced bankruptcy and possible closure, he took a one-year leave of absence from his teaching job and turned it around financially. When the collapse of the ground fishery was threatened, his foresight mobilized community leaders and maximized financial support to save Isle Madame from economic disaster. A tireless volunteer, he was the founding Chairman of the Development Isle Madame Association and founding vice-chair of Telile, the Isle Madame Community Television station. In large part through his efforts, Isle Madame today is known nationally and internationally as an example of community resilience in adversity. For 30 years she led the Citizens Service League, an organization that has made a difference to the town of Glace Bay. Filling in the gaps in community services, it provides over a dozen direct services, including nursery school, home repair, and literacy programs, meals on wheels, and homemaker services, through the work of more than 250 volunteers. Central to her sense of respect and responsibility for others are her faith and the lessons she learned as a member of the Jewish community. She has served on the local and national executives of Hadassah-Wizo Council for many years and has been an active member of the board of Cape Breton Transition House and the University College of Cape Breton Board of Governors. Conscientious, determined, and imaginative, she makes volunteerism a worthy profession. 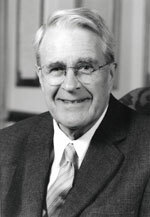 As Chief Justice of Nova Scotia, he brought to that position openness, candour, humility, and the gift of creating a high degree of consensus. He has been a law professor at Dalhousie University and then a leading practitioner in the field of labour-management relations as negotiator, conciliator, and frequent arbitrator. 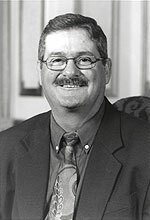 He has served as a trustee or board member for many organizations, as a governor of Dalhousie University, and as a director of the Legal Information Society of Nova Scotia. He has worked for better public understanding of the courts and the important work that is carried out in them. As Chair of the Swissair Flight 111 Memorial Secretariat he brought his gifts of patience, compassion, and diplomatic skill to a difficult task, helping create a fitting and dignified monument to that tragedy. 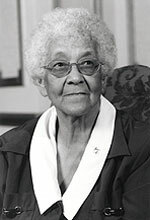 Through her parents' sacrifice and her own perseverance, she was the first member of her African-Nova Scotian community to graduate from high school, and later she was among the first Black graduates of the Nova Scotia Teacher's College. As a teacher in Inglewood and Greenwood, she was a mentor and role model, teaching racial tolerance and encouraging young people to set positive goals for themselves. She has a keen interest in the history of her community of Inglewood and has contributed greatly to its social and cultural life. Known for her integrity, sense of humour, and lack of pretension, she is an active member of her church and of organizations promoting African Nova Scotians. 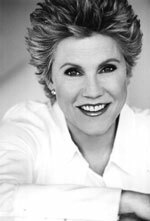 Throughout her life she has modelled what she has taught to others - to pursue their dreams. 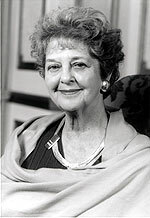 As its Chief Curator of History from 1973 to 1992, she added three significant historic houses to the Nova Scotia Museum. She has located and arranged the return to Canada of many important artifacts, paintings, and documents from England, Scotland, and the United States. A creative and imaginative teacher, she has an international reputation as an expert on ceramics and has pioneered the teaching of ceramics history at the Nova Scotia College of Art and Design. 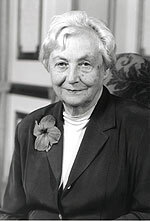 She also catalogued and published the King's College Weldon Collection, one of the oldest collections of ceramics in Canada, and is currently cataloguing the entire contents of Government House. She has made an extraordinary contribution to this province, drawing Nova Scotians into a better understanding and appreciation of our cultural history. He is a man who puts a human face on business. A carpenter by trade, he is the owner and operator of one of the most successful construction companies in the province. He uses business methods to develop sustainable long-term social institutions and is a driving force behind the BCA investment co-operative, the Grow Cape Breton Partnership, and New Dawn Enterprises, one of the largest community economic development agencies in the Atlantic region. Demonstrating the faith he has in the Cape Breton community, he invests in struggling companies to give them the capital they need to survive and create employment. He is personally involved in volunteer projects and serves on the boards of various co-op enterprises, demonstrating his commitment to give back to his community and make it a better place. She is an outstanding ambassador for Nova Scotia, an internationally acclaimed recording artist whose career has spanned more than 30 years. She has released 32 studio albums and sold more than 40 million records. The first solo Canadian female artist to achieve a gold record in the United States, her distinctive voice has earned her numerous awards, including 31 Junos, four Grammys, and three American Music Awards. Despite this, she has never lost touch with her Nova Scotia roots. She takes a personal interest in the centre that bears her name and that brings thousands of visitors to her hometown of Springhill. She is at home in the world, but despite that, her real home brings her back often to reconnect - and perhaps to play a round of golf or two. He is a passionate writer who gives a voice to his people by revealing a past that the standard histories have chosen to ignore. He is a business manager, consultant, counsellor, historian, author, journalist, reviewer, lecturer, social commentator, and justice of the peace. 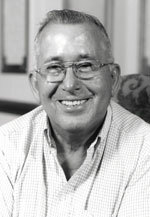 A former executive director of the Confederacy of Mainland Micmacs, he is a member of the Nova Scotia Human Rights Commission's Mi'kmaw Advisory Committee and of the Advisory Council for Dalhousie University's Law Program for Indigenous Blacks and Mi'kmaq, and of the Nova Scotia Police Commission. 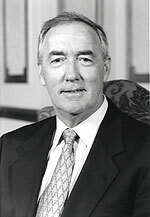 He has been recognized by l'Université Sainte-Anne with an honorary Doctor of Letters degree, by the City of Halifax with a millennium award, and by the Municipality of Clare with honourary citizenship. By bringing new understanding and perspectives to the past, he seeks to teach all people the damage racism can do. He is a former mayor of Dartmouth and premier of this province, a family physician whose practice consisted not only of individuals, but the community as a whole. He saw the need for and established programs and services in under-serviced areas. He was a leader in setting up the North Preston Medical Clinic, which now bears his name, as well as recreational facilities and a daycare centre. 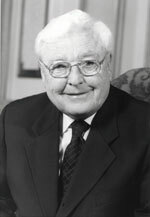 He taught family medicine and family life education, was involved with drug and alcohol counselling and treatment, and was a pioneer in the introduction of palliative care. Throughout his political career he championed many other causes, including literacy and the arts. Since leaving provincial politics he has increased his participation in developing countries. He is a man whose vision of a healthy community embraces the world.